Bondville: Happy Australia Day 2012! I hope you all had a wonderful Australia Day yesterday, no matter where you are in the world. We celebrated with an invitation to a vintage-style 4-year-old birthday party high tea at the gorgeous Agape organic restaurant in the morning (truly amazing photos coming soon). Then home for a quick power nap, and then off to our friends' house for an Australia Day feast that included Renay's yum pavlova, and deliciously chunky lamingtons by Yael's Cakes of Distinction. The kids had a ball racing their handmade boats down the creek (or was it the Dads who had a ball? ), and we managed to relax with a few bubbles too. Well, happy Australia day indeed! 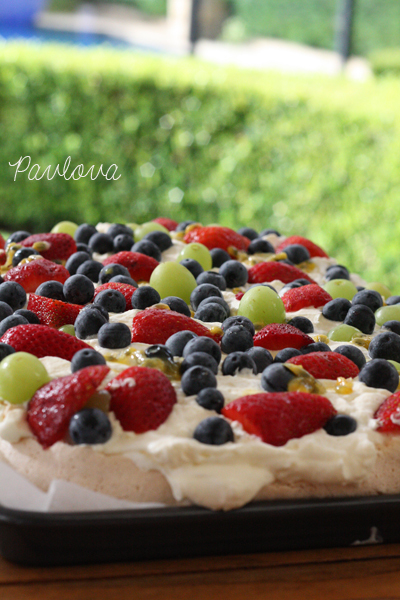 Loved how pavlova looks - yum! where does this name come from? 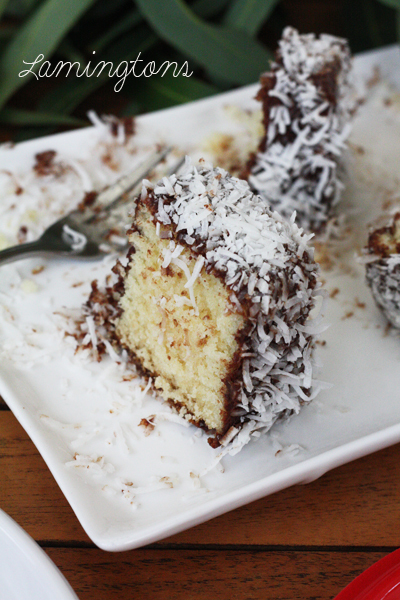 Those lamingtons look irresistible. I could dive through the screen and eat them. Hope you had a great day.